I know we don't discuss much outside of FIU, but are any of you keeping track of the UAB situation where they might drop football altogether. This would be a major blow to C-USA as they are one of the original C-USA schools. I would hate to see them lose the football team. There is a lot of backlash against the Alabama BOT. One thing we all have to be thankful for is that we don't depend on the BOT of another institution for our survival. Go F I U! That situation is dire over there. Really messed up, as it is a real possibility they do that with UAB's program. Irony of it all is that UAB is one win away (against Southern Miss is the last game) from being Bowl eligible this season. According to this article, we're doing worse than they are. However the numbers are from 2012-13. That's a very misleading way of reporting how income is generated for Athletics, particularly for G5 schools that don't have the following and $$tradition, nor the conference payouts of $$ the P5 schools do. You can call it subsidies, you can call it Athletic fees, you can call it general fund transfers, but you just don't call it a "deficit", because it simply isn't a deficit. By definition, revenues from ANY sources (including fees. TV money, tickets revenues, sponsorships, stadium rights, radio rights, licensing, etc.) are incorporated into the budgetary process to cover planned expenditures. IF actual revenues received are less than actual expenses for the fiscal year, THEN you have a deficit. Back to the topic at hand, it's pretty sad when the governor of Alabama is, for all intents and purposes, lobbying for UAB Football's elimination with that comment about attendance. Looks like UAB will lose their football program, wonder who takes their place? The disbanding of the football program could also have negative long-term ramifications on school donations, applications and enrollment. Multiple studies have shown a tangible connection between a successful football program and increased school applications. The University of Alabama has been one of the most notable recent examples, seeing an 147 percent increase in out-of-state applications from when Nick Saban arrived in 2006 to the most recent data available for 2013-14, according to the National Center for Education Statistics. UAB Football is dead, incredible....Go F I U! More than a year ago, UAB began the largest, most comprehensive strategic planning process in the university's history. Designed to identify areas of excellence and set priorities for investment and growth, this strategic review has empowered leaders across campus to think critically about how to best invest resources and position UAB as a premier and sustainable institution for the future. Today, we announced results of the Athletic Department's strategic planning process. In order for us to more effectively reinvest in athletic programs that are most likely to bring growth, prolonged success and national prominence to UAB, the 2014-2015 academic year will be the final season for UAB football, bowling and rifle. After an extensive review of current and future financial data, it became clear that, despite noteworthy success this season under Coach Bill Clark, investments in football were unlikely to produce a sustainable return relative to the required investment. This is especially the case with the rapidly evolving NCAA landscape and the soaring costs associated with maintaining a competitive team. UAB already subsidizes $20 million of the roughly $30 million annual Athletic Department budget, which is the fifth-largest budget and subsidy in Conference USA. We will continue to support Athletics at this level, which amounts to an institutional investment of at least $100 million over the next five years. According to expert analysis by CarrSports Consulting, UAB would have to substantially increase our operating budget and our capital investments in facilities to support an Athletic Department that fields a competitive Conference USA football team. The difference between our future Athletic Department with and without football is an additional $49 million investment on top of the $100 million UAB will already invest in Athletics in the next five years. From an operating budget standpoint alone, the difference between the scenario in which we maintain a competitive Conference USA football program and eliminate it is more than $27 million over the next five years. This does not include additional needed capital investments of $22 million for football facilities alone. These capital projects would include a field house, an indoor practice facility and a turf field, but not a stadium. We have considered many options to fill this financial gap, including through philanthropic support; but our informed analysis of current and past support and interest concluded that the gap is simply too wide. It would be fiscally irresponsible and virtually impossible to keep pace with these growing financial demands without sacrificing the financial health and sustainability of Athletics, or redirecting funds from other critical areas of importance, like education, research, patient care or student services. This decision is not about cutting the Athletics budget, but instead is about reallocating resources to more fully support and reinvest in athletic programs in which we have an opportunity to achieve a high level of success. Many of our programs have been on the cusp, and redirecting funds from football can propel them to the next level. With this strategy, I am confident that UAB's best days for Athletics are ahead. But the coming days and months will be difficult for those most affected. We couldn't be more proud of how well our student-athletes and coaches have represented the institution, even in the midst of recent, very regrettable distractions. They have earned our respect and appreciation, which makes this necessary financial decision all the more difficult. I have met with impacted student-athletes and coaches, and will meet with others affected. It is my top priority to make this transition as easy as possible. We will honor scholarships for those who choose to stay at UAB beyond this season, and we will honor coaches' contracts. When a program is discontinued, per NCAA bylaws, players who decide to leave UAB to play elsewhere will not be required to sit out of competition the following season. To those who are losing something they hold dear with this decision, I am truly sorry. I know many are saddened by this news. As a Birmingham native, a sports fan, and a UAB graduate who loves this university and its people, I am among those disappointed in the necessity of this decision. While it is the right one for the financial future of UAB Athletics and UAB as a whole, it is an agonizing one to make. I know many will be interested in following developments during this transition. For more information, and updates as they become available, I encourage you to visit http://www.uab.edu/athleticsplan. By the way, this is the type of power play that scUM and MDC used in the past (whether to prevent a 4 year institution, law school, med school, etc.). 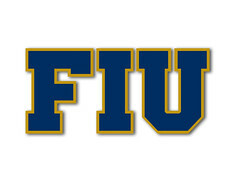 However, as we have grown neither of those institutions have the political power locally or in Tallahassee to hurt FIU any longer. Can you imagine this? UAB's Board is one from the University of Alabama System. In it, the systems governs University of Alabama -Tuscaloosa (Crimson Tide), UA-Huntsville, and UAB. In essence, they don't have one of their own, but the one they have oversee those 3 universities. The BOT consists of 15 members, of which 13 or 14 are Bama grads and one is an UAB grad....but she happens to be the wife of Bama great RB Bobby Humphries (former Dolphins player too, if I recall correctly). The Chairman of that board, or leader, happens to be Bear Bryant's son, Paul Bryant, Jr., who allegedly has a long time feud with UAB, stemming from family differences between former UAB basketball coach and AD Gene Bartow, and his father Coach Bear Bryant. Every time he/they have a chance to keep UAB down, they do. You get who runs things in this system, right? Amazing corrupt system of cronyism and power play. From PennSt cover up of Zandusky. FSU and the Jamies saga. The corruption at with the University of Alabama's BOT. The Ohio State Cover up. Basically, where there's smoke there's fire...coño.